Best Indian Restaurant You Should Go in Osaka Top 2!! What do you think of food in Osaka? What kind of restaurant do you think you are going when you visit Osaka? Osaka has a lot of great food. Takoyaki, Okonomiyaki, and Kushikatsu are most popular and signature food in Osaka. However, there are best Indian Restaurants you should visit in Osaka and you cannot end your Osaka trip without going there. Asian Kitchen Chai Chai offers traditional North Indian taste of mam’s cooking by Indian chef. Owner is from India too. It moved here in Minamihoriecho in 2014. There is a plate lunch that you could choose both two kinds of curries as well!! This cost 100yen more than regular lunch but you could enjoy everything at one time and it comes with rice, salad, bean paste, and some Indian style stair fried vegetables. You can choose how spiciness you want. 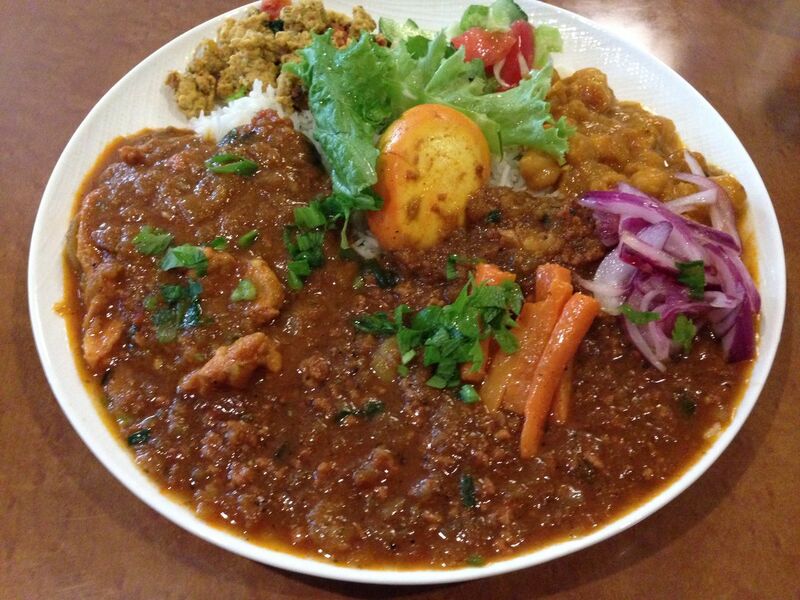 Ghar is known as people who seeking orthodox Indian curry get here at the end. Indian curries here have deep and rich taste. Some people eat curry here once a week. It is better to go to Ghar early lunchtime because some popular menus run out very quickly around late lunchtime. Those two restaurants have different taste of Indian curries but both have very traditional and best Indian curries! Try both and you are going to like either one for sure! !